Locksmith Queens - Never Late! You can trust that the team of courteous locksmith Queens professionals at Eddie and Sons Locksmith will always put your needs first. Whatever your security concerns are, it will be the highest priority for our locksmith Queens company. Be assured that any Queens, NY locksmith on our team will be honest, reliable and focused on doing the best job possible. With over a decade in business we know how to provide a stress-free experience. Contact us and we’ll be in our fully loaded van on our way to you. Our 20-minute fast response time is part of what makes us the dependable go to company trusted by more locals than any other. From rekeying to security reviews, we’re here to help you. Eddie and Sons locksmith service in Queens are certainly a cut above the rest. 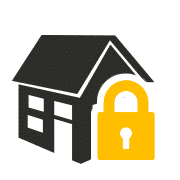 We’ve been providing superior locksmith Queens residential services for years and have the happy customers to prove it. Our car locksmith, 24-hour emergency locksmith, and commercial locksmith service teams all use their years of experience to solve customer problems and add value with their knowledge. Any lock or key security need that you may have, we know how to handle it. Our locksmith service in Queens’s full-service professional company is the only one that you will ever need. Don’t deal with subpar service, contact us and we’ll show you why we’re rated number one. Do You Need a Car Locksmith in Queens? 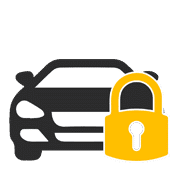 You can schedule our locksmith Queens to help you whenever it’s convenient for you or call our emergency hotline right now for vehicle lockouts. We’re always open. Whether you want help with your transponder key, or you want a consultation, we can provide the service. Our car locksmith also deals with replacement car keys or replacing your ignition key. We can also copy vehicle keys and make a new key fob and program it for you. You won’t have to worry about your car not being secure once you become one of our customers. It’s not just home and business owners who require locksmith appointments. Car owners also need trained professionals to help them with security. 24 Hour Emergency locksmith? No Problem! Our 24-hour locksmith Queens company will make the lockout feel like a bad memory in no time. Our emergency car locksmith department is available around the clock whenever you need us. Contact us for 24-hour emergency locksmith service. There are many situations in which you may need an expert emergency locksmith aid and we’re here to be of assistance in all situations such as lock change, rekey or to make a new car key. All of our 24-hour emergency locksmiths have the training and experience to back them up, ensuring that you receive great service. We don’t leave things to chance; we bet everything on our expert service. See why we are the area’s number one rated residential locksmith service! Queens residents often struggle to find a residential locksmith for all their household needs. Fret no longer. Locksmith Queens is here 24/7 for home lockout services and can handle any type of residential door locks. We can also re-key locks and install hardware and repair any residential hardware we come across. We also specialize in updating their tools and inventory to suit the ever-changing needs of the industry. The pros on our commercial locksmith team are experts when it comes to doing exactly that. 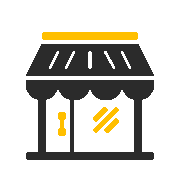 Our locksmith staff can handle your commercial door locks and are available around the clock to assist with commercial locksmith lockouts just about anywhere in Queens. Contact Queens locksmith for a security lock, or during a building lockout, or to copy and re-key building keys. We’re waiting for your call!